Host/Hostess Gifts: check out VL products on Fox 19, courtesy of Carolyn, owner of our favorite Over-the-Rhine boutique, MiCA 12/v! Shop Small This Christmas: Cincinnati Favorites: an awesome round-up of local stores and makers, including yours truly. An Indie Guide to Cincinnati During the Holidays: tons of pop-up markets and special events in OTR and downtown Cincy this month. ‘Ghost Signs’ Haunt Clarksville: a town in Tennessee is considering restoring or preserving its ghost sign history. Las Vegas: The Once and Future Downtown Project: thwarted urban revitalization ambitions in Vegas. A Horrible Brooklyn Love Story: involving secret tunnels and ghosts. Saving Neon Signs One Flash at a Time: in Sacramento and beyond, an effort to preserve old neon signs. 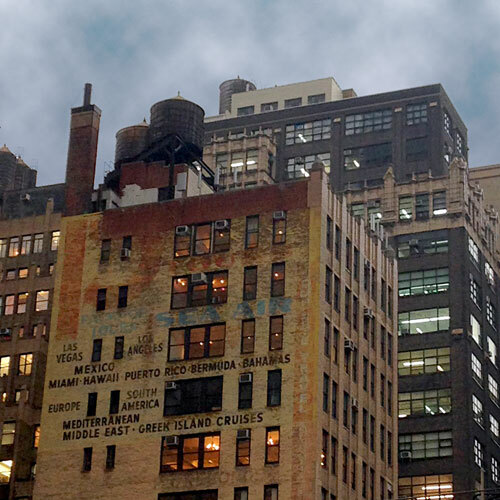 Just down the street from the New York Times HQ is this massive ghost sign for a travel agency called P-something. Sea, air, and then places: Las Vegas, LA, Mexico, Miami, Hawaii, Puerto Rico, Bermuda, Bahamas, Mediterranean, Middle East, and Greek Island Cruises. Do travel agents even exist anymore? 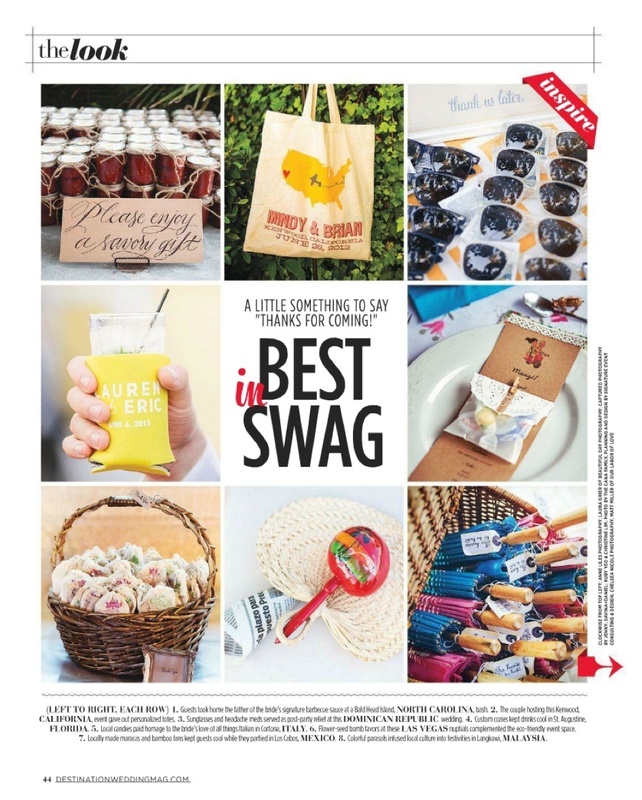 Guin and Eric recently got married in Las Vegas, and a photo of the seed bomb favors we’d created for their guests appears in the Best in Swag roundup in the Jan/Feb 2014 issue of Destination Weddings & Honeymoons Magazine. Plenty of artists use books in their work or create maps as their practice. London-born, Oregon-based Matthew Picton has found a way to do both by using books and other textual materials that reference a city in a moment in time. Above, London 1666 is constructed out of book covers for The Plague Years by Daniel Defoe. Our Great American Road Trip included an obligatory stop in Las Vegas, where we had to check out the Fremont Street Experience and, of course, the famous Strip, starting with New York, New York Hotel & Casino. The Fremont Street Experience in downtown Las Vegas is the historical heart of that city, famous for its elaborate neon signs and lights which have earned it the nickname “Glitter Gulch.” It’s been closed to vehicular traffic since 1994, and the pedestrian mall now features an LED-covered covered canopy.